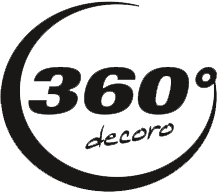 360° decoro is an Austrian based company with local offices in Austria, Germany, UK, UAE and Hong Kong supplying customized interior fit out materials. Our mission is to implement personalized and individual stories in hotels, hospitals, restaurants, offices and malls by creating graphics, images and artworks with our in house design team and bringing them onto a variety of substrates for applications on wall, ceiling and floor. 360° decoro enables indiviual designs to become a reality by using the most innovative imaging technologies. There are almost no restrictions to developing a bespoke image that complements a design or architectural idea. Limitless creativity is encouraged both for aesthetic look and emotional feel. 360° decoro provides expertise and advise to create your chosen image on a variety of exciting materials including GLASS, METAL, WOOD, FABRIC, WALLPAPER, VINYL, CORK AND PAINT. 360° decoro also offers project management services and makes sure the desired image and material is manufactured and installed according to customer requirements. We therefore consider us as a turnkey supplier for bespoke interior design solutions that guides its clients along the way from initial image creation to final implementation.